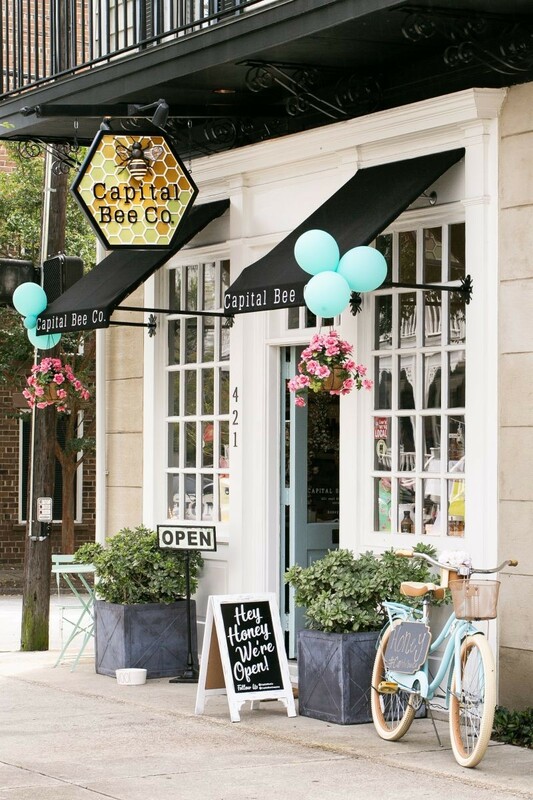 Capital Bee is at 421 E. Broughton St.
SAVANNAH IS one of those "little big cities" where it seems like everybody knows everybody else. So, while researching for my next article, it didn’t come as a huge surprise to learn that my husband grew up with Capital Bee Company’s owner Thomas Hinely. After getting a little backstory on Broughton Street’s newest bee bazaar, I quickly jumped on the chance to pop into their new storefront and learn about honey from Thomas. Though I went to learn the ins-and-outs of the honey hustle, I ended up learning Thomas’ tale, which is about as close as to the American Dream as I’ve seen in person, and he taught me how his perseverance and willingness to take risks have landed him as Savannah’s newest prophet of pollination. After growing up a local Savannah boy, Thomas began nursing school following his time at Calvary Day School. Midway through, he decided to end his current route and follow his dreams—starting his own local business. He asked his family for help, they obliged, and Thomas was able to begin sourcing high quality honey from around the country then hand pouring each jar. From there, starting small, Thomas took his honey on the road selling it at craft shows all over the east coast. 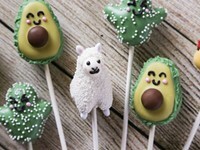 Next came a website followed by wholesale distribution. I remember tasting Thomas’ honey at several events around town and seeking it out immediately after. To this day, all of their honey is poured and jarred by hand in their warehouse located here in Savannah. 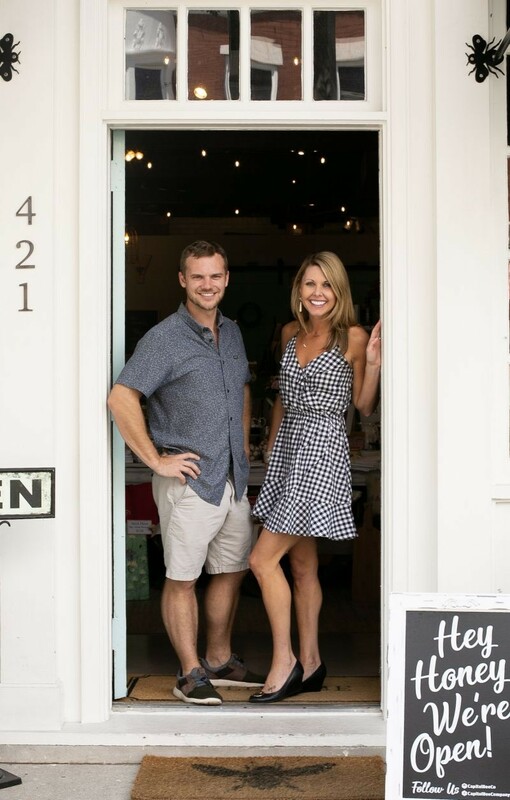 Thomas began the company in 2013, and only four short years later, on the week of Thanksgiving, his first storefront opened on Broughton Street. “We call it our Honey Boutique. It’s our happy place. We get to sell our honey everyday and also support a lot of other small vendors like us,” Kristen Harkleroad, the Director of Operations, explains. At the brand new location, you can usually find Thomas there educating patrons about honey or pumping out samples of their wildly unique honey. Kristen can often be found working in the store as well. “Capital Bee focuses on unique, mono-floral honey. We work with small beekeepers from all over the United States to provide the best honey there is,” Kristen tells me. Monofloral honey refers to the type of honey that is predominantly flavored from one plant type, allowing the honey to retain the distinct flavor profiles of that specific plant. The Raw Blueberry Honey has a strong scent and flavor of blueberry due to its pollination from a blueberry bush. When you open the bottle, your nose is filled with the floral scent of blueberries, and the flavor of the honey is extremely similar to the taste. Adding it to treats like yogurt, ice cream, and baked goods is ideal for such a unique honey. The list of mono-honeys is long, blackberry, raspberry, snowberry, orange blossom, and maple are just some of the distinct flavors available. Each honey smells and tastes of the plant from which it was pollinated, and not a single jar at Capital Bee has a drop of flavoring added. Capital Bee’s most unique honey is sourced from Texas—the Guajillo Acacia Honey. The bees contribute flavor to the honey from the cream colored blooms of a wild desert bush, guajillo acacia. Honey connoisseurs flock after this honey because its flavor profile is unique with notes of chocolate and coffee. My all time favorite product, which I would guess is the same for most of Savannah, is Capital Bee’s Frosted Honey. Although the honey looks like frosting, the whipped honey only has a texture that is similar icing but it is made purely from honey. To create it, white clover honey is whipped until it transforms into something more fluffy. The best-seller for the store is a cinnamon version of the Frosted Honey, the Cinnamon Frosted Honey. Both air and cinnamon are whipped into the honey for this one. Both products are perfect for spreading on top of almost anything, fruit, bread, cookies, and even that sweet potato casserole that is at every family gathering. If you are like me, a spoon is the only accompaniment that is needed for this honey. 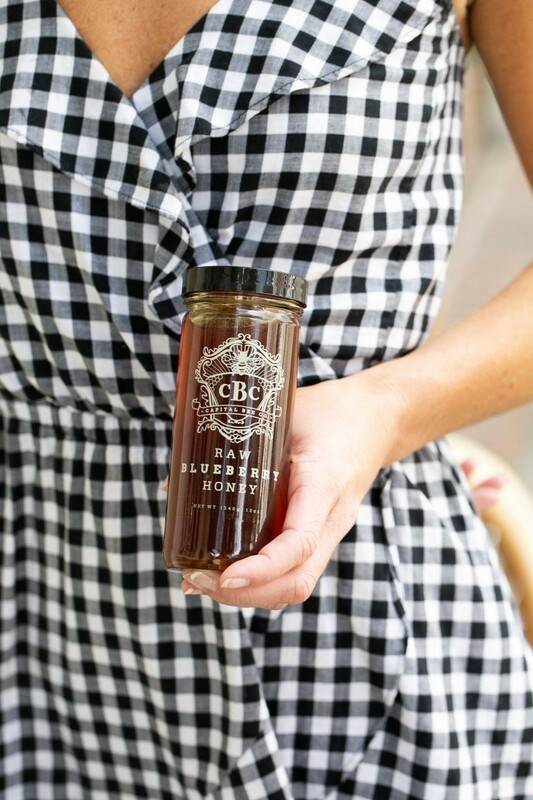 For those that are not a fan of the sticky, sometimes messy, qualities of honey, Capital Bee’s Granulated Wildflower Honey is something you should try. Wildflower honey is put through a special heating and drying process to turn it into sweet little honey granules. The sweet floral characteristics of the wildflower honey remain, making this product perfect for baking or stirring into coffee. If you are a good Southerner like me, you find yourself bringing a bottle of wine or covered dish to any gathering you attend. Capital Bee’s honeycomb is something you should consider taking next time. I love adding it to a party’s cheese plate, and of course devouring that cheese plate with wine. The sweet waxy handcut treat works hand in hand with all off the fruit, nuts, and cheese covering a well built cheeseboard. Just last week, the store joined the Savannah Art Walk and now features over fourteen local artist on the walls of the boutique and through the store. The actual art walk happens on the second Saturday of every month. 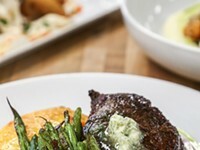 Tags: Cuisine Feature, Capital Bee Company, Capital Bee Co.